Description: Susan Bates Silvalume Handi Tool is one of those nifty gadgets that once you have used it you wonder how you ever lived without it. 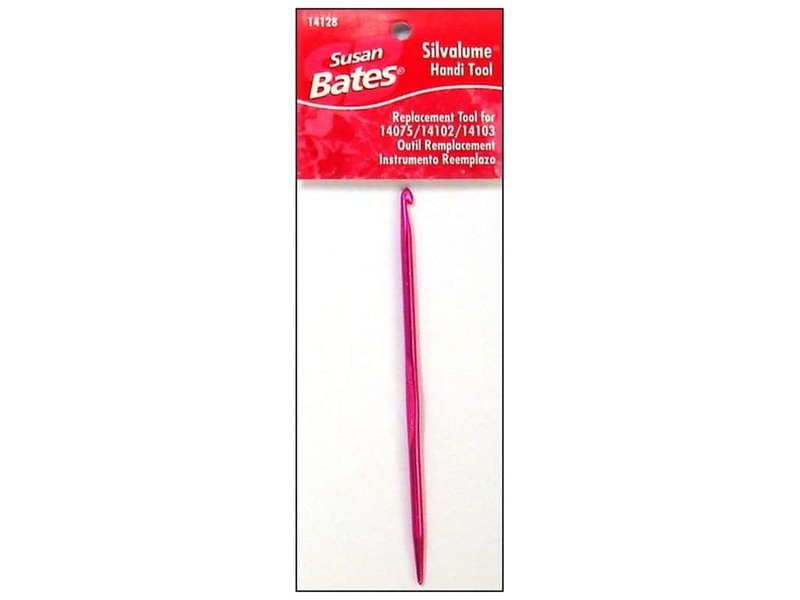 This handy little tool is the combination of a knitting needle on one end and a crochet hook on the other! It is ideal for picking up dropped stitches, tying on fringe, use as a cable needle in a pinch, or as a replacement tool for the French Knitter and Knitting Knobby. Approximately 4 inch. Bates Handi Tool Silvalume Handi Tool -- CreateForLess 4.33 out of 5 based on 6 ratings. 6 user reviews. I discovered the Handi Tool at my local knitting store, where one of the employees was using it. I saw right away it would be useful, and sure enough, I'm find I'm always using it. It is indispensable for picking up dropped stitches. I use the needle end to pull stitches out in order to catch them better with the hook end, especially when I find I haven't picked up all of the yarn when I knit a stitch have some left, hanging out. It's a brilliant tool. It's inexpensive and should be part of everyone's "kit." I highly recommend it. It would make a great stocking stuffer or friendship gift for a knitter who doesn't have one!